Certainly a poem is only a game. Certainly a poem exists only at the moment of origin and at the moment of reading. And at best in the shadow-play of memory. But in its aimlessness, in its desperate commitment to the word, in its primal order of birth and re-birth, a poem remains the most general guarantee that we can still do something, that we can still do something against emptiness, that we haven't given in but are giving ourselves to something. The most general gurantee that we are not composed only of facts, of facts which, as Ernst Fischer says, are deeds withered into things. Provided a poem, which is the poet's modest attempt to put off disintegration for a while, is not regarded as the philosopher's stone, bringing salvation and deliverance to stupefied mankind. After obtaining the anthology Lines In The Sand, I realised just how many contributors I left out yesterday. Mea culpa, I should have waited. Last evening, Grant Stone - Murdoch University librarian, radio show presenter, sometime ABC guest/expert, founder of the Laughter Club, and other activities - launched this well-orchestrated collection of prose and poems by Western Australians. Yes, generations are represented, but the major impact of the collection to me was the maturing of many 'new writers' of yesterday into confident voices with things to say - personal, universal, about history, society and literature itself. I am moved to see Lesley Dougan writing about her sister Dorothy Hewett, and to read Brian Dibble's piece on Elizabeth Jolley. Well-known names like John Kinsella (who also wrote the foreward)is there alongside Megan McKinlay and Debbie Hills. Hal Colebatch and Shane Macauley are in the mix with BJ Thomason and Nandi Chinna... I just can't name them all, but the general feeling at the Centre for the Book at the State Library last evening was of an extended family, and that feeling is truly in this book as you read it. These people are expressing their lives from the many corners of this community. People who help this literary community in other ways as well are here as writers, their first love: Amanda Curtin, editor; Roland Leach, teacher and publisher; Frances Macaulay Forde, controller of the Poet's Corner and photographer of poets in public; Trisha Kotai-Ewers, centreplate of the FAWWA; Dennis Haskell, editor and UWA professor - these people put in the hours to help other writers achieve and publish. Some say, Writing is a lonely business, and it often is, but last evening and in Lines In The Sand anthology, writing has brought an extended family together. At Ezra Pound's former house, now part of The Sun Valley Center for the Arts, a small plaque near the door is all that identifies it as Pound's birthplace. A bookcase containing a life mask of Pound and assorted books are the only items inside that hint at Pound's connection. Pound was likely born in an upstairs bedroom (only the first floor of the house is open to visitors). The house, simply called The Center, is open to the public from noon to 5 p.m. Wednesday through Friday. Admission is free. Writers' workshops, exhibits, concerts and classes are offered. 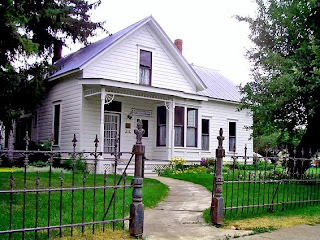 The Center is at 341 Second Ave. S. (at the corner of Pine Street and Second Avenue) in Hailey, Idaho. More information: Sun Valley Center for the Arts, www.sunvalleycenter.org or 208-726-9491. Lines in the Sand will be launched on Thursday 29th May, at 6:30pm, in the Centre for the Book, State Library, Perth, by Grant Stone, Scholarly Resources Librarian, Murdoch University. Photos taken on our new Jack Rassell X's 6 week birthday. Off to the vet tomorrow to have her first shots. Here is the Washington Post's Mensa Invitational, which once again asked readers to take any word from the dictionary, alter it by adding, subtracting, or changing one letter, and supply a new definition. 5. Bozone (n.): The substance surrounding stupid people that stops bright ideas from penetrating. and it's a serious bummer. at three in the morning and cannot be cast out. The Washington Post also published the winning submissions to its yearly contest, in which readers are asked to supply alternate meanings for common words. "Poetry: three mismatched shoes at the entrance of a dark alley." "Poetry is energy, it is an energy-storing and an energy-releasing device." "Poetry is the eroticization of thought—psychic vitality." "A poem... is the attire of feeling: the literary form where words seem tailor-made for memory or desire." Please - contribute your own! 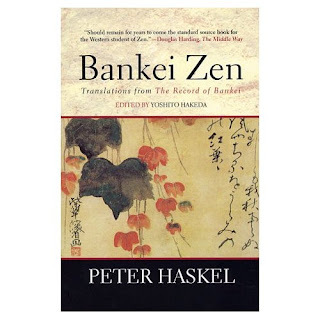 "One's everyday life, in its entirety, should be thought of as a kind of sitting in Zen. Even during formal sitting, one may leave one's seat to attend to something. In my temple at least, such things are allowed. Indeed it's sometimes advisable to walk in Zen for one incense stick's burning, and sit in Zen for the other. A natural thing, after all. One can't sleep all day, so one rises. One can't talk all day, so one engages in zazen. There are no binding rules here." Liyarn Ngarn (meaning ‘coming together of the spirit’ in the Yawuru language of the West Kimberley region) is a powerful and important documentary charting renowned British actor Pete Postlethwaite's personal journey with respected songman Archie Roach into Aboriginal Australia. Seen through the eyes of an outsider who is suddenly immersed in the mire of Australian race relations, the film documents a 30 year long mission of indigenous leader and Yawuru man, Patrick Dodson, to bring about a lasting and true reconciliation between indigenous and non-indigenous Australians. 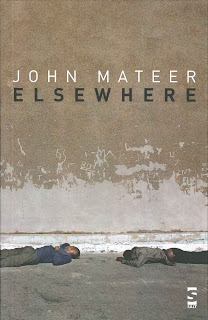 This is a culturally significant and moving account of suffering and searching for justice. Following the screening, Pete Postlethwaite, Patrick Dodson and Archie Roach discuss the road to reconciliation. Supported by The Horizon Foundation. At the risk of losing my 'serious' readership, I would like to share a joke which tickled my fancy this morning. Thank you to my cousin Mary for sending me this. Poets Corner @ Pages Cafe on 2 pm, TOMORROW, Saturday 17th May 2008, with special guests Murry Jennings, Annamaria Weldon, Deanne Leber and Andrew Burke. Open Mic will be at 4pm, as usual: readers welcome to register with Frances Macaulay Forde on the day. Poets Corner @ Pages Cafe on 2 pm, Saturday 17th May 2008, with special guests Murry Jennings, Annamaria Weldon, Deanne Leber and Andrew Burke. 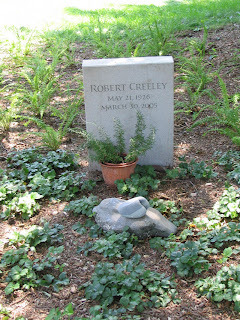 This photo of Robert Creeley's gravestone, off Ron Silliman's blog. In recent days, I've been playing Creeley reading his poems to Steve Swallow's music. It always saddens me to hear a voice of one once so alive who is now dead, but it is better I suppose than the silence of a gravestone. The NSW Writers' Centre is delighted to announce that it is joining the Blake Society, Leichhardt Municipal Council and Wet Ink magazine in sponsoring a new national poetry prize to be known as the Blake Poetry Prize, which calls for entries on the theme of 'Bliss, blasphemy and belief'. This new competition was made possible by the generosity of Leichhardt Municipal Council, which has a strong commitment to supporting the arts, and especially writing through the NSW Writers' Centre. "This grant of $5,000 continues our longstanding commitment to the NSW Writers' Centre and the development of arts through the written and spoken word," Mayor of Leichhardt Council Cr Alice Murphy said. Download an entry form and conditions at the NSW Writers Centre link above. Note from Frances: If you haven't experienced Poets Corner @ Pages Cafe yet our next event takes place on 17th May 2007 with special guests Andrew Burke, Murry Jennings and Annamaria Weldon. Open Mic will be at 4pm, as usual: readers welcome to register with me, Frances Macaulay Forde on the day. CHICAGO, April 29 /PRNewswire-USNewswire/ --- Poet Gary Snyder is the winner of the 2008 Ruth Lilly Poetry Prize. Established in 1986 and presented annually by the Poetry Foundation, the award is one of the most prestigious given to American poets, and at $100,000 it is one of the nation's largest literary awards. Christian Wiman, editor of Poetry magazine and chair of the selection committee, made the announcement today. The prize will be presented at an evening ceremony at the Arts Club of Chicago on Thursday, May 29.
http://www.housesforthehomeless.com.au - with every click on this site, realestate.com.au will donate $1 to Mission Australia. There are countless people out there who don't have a roof over their head, including families with little kids shivering through our winter nights. So, click away. of different characters - into the poems. and falls, the throes of heroes. Creatrix is the new name for our poetry online e-journal, previously known as Fresh Works, which is resuming after a short recess. Creatrix will be published online in March, June, September and December each year. To be considered for the June 2008 edition, your poems are to be received by Friday 23rd May 2008. All submissions to be sent by email. We accept poetry up to 60 lines, or shorter poems preferred, open theme (no more than three poems per poet per issue). There is no guarantee your poem/s will be chosen. At this stage, publication is for WA Poets Inc member poets only (NB FREE membership). Currently we cannot pay contributors, but your poetry will be showcased. We will accept prize winning or previously published work, with acknowledgements. Send poems as attachments either in .rtf or word .doc files. Copyright of material in the e-journal remains with the individual contributors and cannot be reproduced or transmitted in any form without written permission from the authors. The editing team for Creatrix will be Peter Jeffery, Andrew Burke and Maureen Sexton. The next edition will be edited by Maureen Sexton. Email to The Editor with the words "online submission" in the subject line. The email address is: wapoets@yahoo.com.au.